As the capital city of Jilin and a major city in northeast China, the Transportation in Changchun is very convenient. You choose air, train, coach, bus, taxi to go anywhere you want. Changchun Longjia International Airport is located in between Changchun and Jilin City. It is newly completed, opening on August 27th 2005 and capable of handling more than 3.2 million passengers per year. At present, there are flights to more than thirty domestic cities, such as Shanghai, Xian, Shenzhen, Nanjing, etc. and international flights to Hong Kong, Tokyo, Seoul, Sendai and Vladivostok. Buses run hourly to the airport from Minhang Binguan (Civil Aviation Hotel, taking No.254, 361 and 269 city bus to get to this hotel) from 6 a.m. daily with the journey taking about forty minutes at a cost of 20 Yuan. A bus will depart two hours before every scheduled flight. Shuttle buses depart every an hour from Quan'an Guangchang (Quan'an Square) since 06:00 in the morning and reach the airport in 40 minutes. No buses are in service since 90 minutes before the last flight leaving (Usually the last bus departs at 17:00). Jilin City also has three shuttle buses a day to the airport. They depart from the civil aviation ticket office in No.2288, Chongqing Road. Passenger can catch the bus at 05:30, 07:30 and 12:00 in Jilin and 11:30, 16:30 and 21:00 in the airport back to Jilin. The ticket cost CNY40 per person. Compared with the price CNY20 by airport shuttle bus, about CNY100 taxi fare is expensive, however convenient. Additional CNY5 should be paid if taxis manage to get inside the airport and it is necessary to pay while getting out. It is not economical to take a taxi to Jilin, unless it is too late in the evening and no shuttles buses at all. Usually, at least CNY200 – CNY300 (can bargain on the price before getting in a taxi) should be paid for the 90 kilometers (about 56 miles) to Jilin City. For the sake of safety, it is suggested that making a stay in Changchun and then transfer to a regular bus to Jilin. Consider to spend a night in Changchun if there are not any buses found in Changshun bus stations at night. Changchun Railway Station is located in the northern part of the city, more specifically at the northernmost end of Renmin Dajie and is the third largest railway station in northeastern China. Trains from here reach dozens of cities in China. In addition you can have access to trains for Beijing, Shanghai and Xian which start here. There are also special trains passing through or begin here, such as Shenyang to Tumen, Changchun to Jilin and Songyuan, etc. They provide you a good opportunity to enjoy the beauty of both Changchun and its neighbors. Dalian and Beijing directly. In addition two national roads, 102 and 302 pass through Changchun, which makes transportation here very convenient. outside Jilin Province such as Hangzhou, Taiyuan, Jiamusi, Wulanhaote, etc. A very cheap way to get around in Changchun is by bus (only 1 yuan per ride). However, this works best if you can read Mandarin and are a bit familiar with the city. You could try to ask other people to help you choose which bus to take. Just as with taxi's you never have to wait long for a bus; if you miss one, the next one will follow in just a few minutes. Trams are another transportation option in Changchun. Although the existing lines do not cover the entire city, it is a good option between main city locations. It costs just 1 RMB (about USD 15 cents). 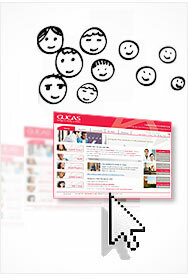 If you have any promblem to get to your university, you can choose SICAS "Plus Service Package". We will help you arrive at the destination.